Change management is the art of getting people realigned in a new, more effective way. Change is about rejuvenation – keeping the organization fresh and agile, and better aligned with the external requirements. It can be experienced as positive, but also as painful. If a strategy is more than just paper, change must be a consequence. Planning the organizational changes is the first step to strategy deployment. 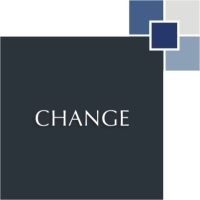 Change can also be oriented towards increasing the organization’s level of competence and professionalism. With a “black belt”, future change capability can be further strengthened. We can support firms in their change and organizational development efforts by facilitating the process, challenging assumptions, building awareness, strengthening change capabilities, offering tools and guarding the time table.